AS THE result of intensive study of the flights and structure of heavy birds, Robert Myers, of Rockford, 111., has designed and built an ornithopter from which he expects to develop ideas for further experiments with such ships. The strange ship has wings crisscrossed with rib structure and hinged to the body in such a way that the wings can be flapped to propel it. Myers, like many before him, believes that it may be possible to learn secrets of flight from birds that will enable man to perfect highly developed flying wings; a type of aircraft radically different from the rigid type of winged ships now in use. And best of all it runs on mice! (Patterned after an Owl, get it? 🙂 ) Anyhoo, ornithopters have been tried again and again, but they’ve never taken off. 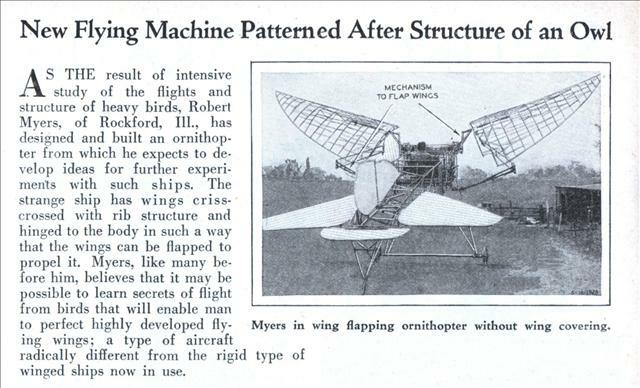 A nice article on Manned ornithopter flight. @Deson: Successful? You’ve got to be kidding! This thing did not take off on its own and did not gain one inch of altitude: It’s a glider! @Deson: I was interested to see this done, but given that the thing has to be towed up to flight speed by a car before it can take off I don’t think it really counts. By looking at bigger and bigger birds, up to the albatrosses and condors, you can see that beyond a certain weight wings are too big to flap practically – and that weight is much less than that of a human being. 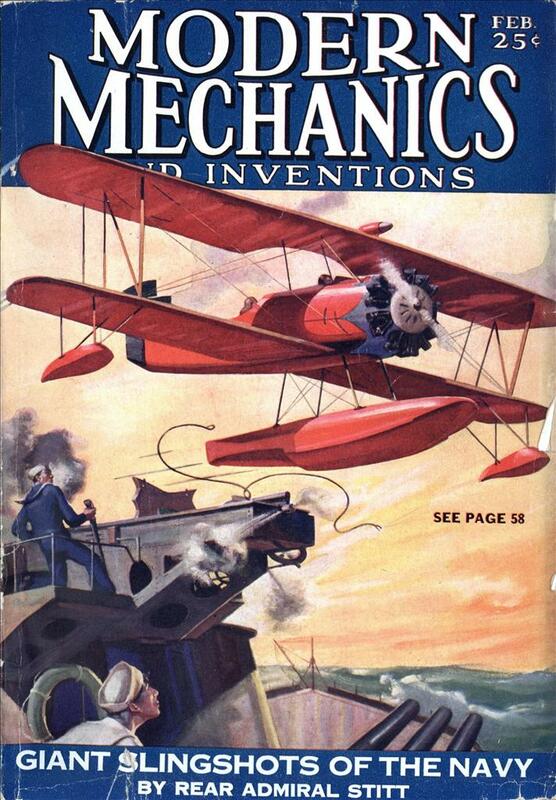 You people are indeed right in that it’s not a true ornithopter in that it required a tow to get it up to speed. However, it was not gliding but traveling on it’s own once it was released. If you look at the tail end of the video you can see the glide ratio when the person stopped pedaling and it dropped much faster when he stopped. I do seem to remember there being a engine powered one that was built but I’ve been unable to locate the information on it. Here is a video of a engine powered one taking off on it’s own but unfortunately develops stability problems after take off. I have no idea if the project was continued afterwards or not.